« WTF Are We Going to Write? One of the greatest honors we’ve had in the nearly ten years JibJab has been in business was being invited to the 2007 Radio & Television Correspondents Dinner to premier a new JibJab video with President Bush in attendance. Regardless of your politics, my brother and I are of the mindset that when you get a chance to entertain the leader of the free world, that’s pretty darn cool. So we were equally excited when the organizer of the dinner contacted us last summer to see if we’d be interested in releasing a new video for a new President at their 2009 dinner. The answer: @#$% yeah! When we started JibJab we never could have dreamed of entertaining one sitting US president, let alone two! God bless the Interweb. This entry was written by paulhanges and posted on June 19, 2009 at 6:00 pm and filed under Obama 09. Bookmark the permalink. Follow any comments here with the RSS feed for this post. Trackbacks are closed, but you can post a comment. No, JibJab are the true superheroes! You folks are right up there. Um…you misread what they said. 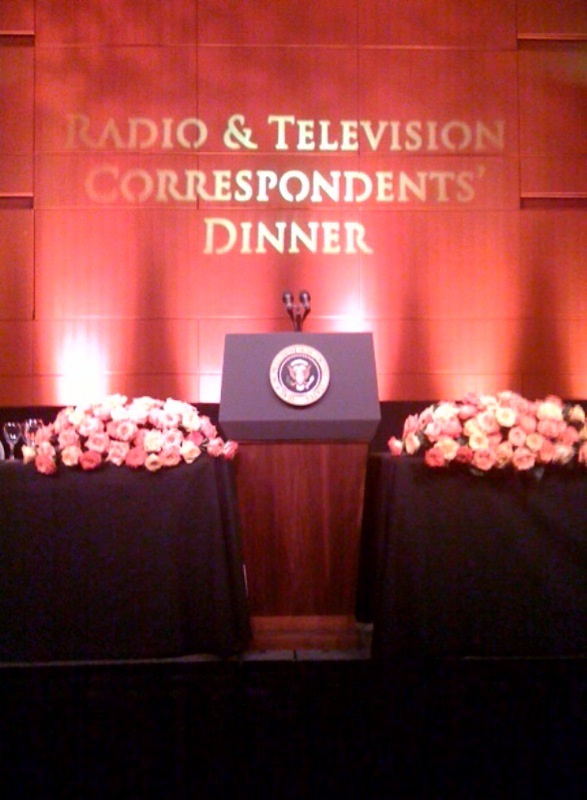 They were referring to the 2007 dinner…and yes, Mr. Bush was president then. The dinner with Mr. Obama was their *second* time there. Congrats guys! You do realize you are making history! Pretty dang cool and something to be very proud of! Thanks for keeping me and my family laughing during these tough economic times. That’s important too. I agree, this site is cool and funny as well and done in good taste. During these times we all need to laugh it is good for the soul. so you folks finally got yourselves a blog, huh? thank God! keep up the good work. How did jou make the Film? wow. you guys did really well in general. thank god for fulfilling the american dream, and then some.